It says not to right there, Mike. It's in red, capitalized letters, Mike. It was the touch felt ‘round the web. Vice President Mike Pence took the Trump Administration’s relationship with NASA into his own hands on Thursday, and there is photographic evidence to prove it. This speech followed the president’s June 30 executive order in which he relaunched the National Space Council, last active in 1993, and appointed his vice president as the chairman. 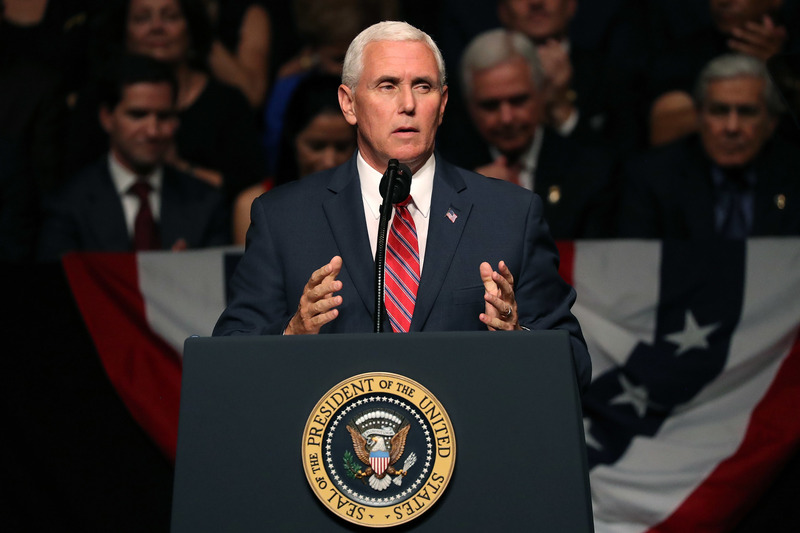 In it, Pence is seen disregarding prominent signage and putting his flat palm on this piece of “critical space flight hardware” like he is touching a stingray at an aquatic petting zoo. People were quick to react to this inherently hilarious image. Some users drew parallels to Pence’s, um, belief system. A few got creative with photo editing. Even a few celebrities joined in on the fun. All in all, Pence’s handsy blunder taught everyone a couple of lessons. First, that it’s important to look before you touch, and second — Hozier is funny.